Group from The Lauder Institute at The University of Pennsylvania set to visit MAECI projects in Equatorial Guinea. The group is currently undertaking a research project in Equatorial Guinea in the context of an educational program at the Lauder Institute and the Wharton School at the University of Pennsylvania. A team of four graduate students will travel to Equatorial Guinea in August to study the impact of foreign investment in the energy sector. The project aims to study the diverse ways in which natural resources can drive economic and social development both directly and indirectly, with an emphasis on job creation and efforts to diversify the economic base. 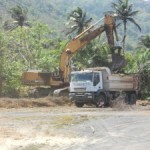 More specifically, the project looks at how the recent upsurge in multinational presence and government initiative and cooperation has benefited the country’s development through corporate social responsibility, various social programs, infrastructure construction, healthcare, education, tourism, agricultural development and industry diversification. During the team’s stay in Equatorial Guinea, they hope to visit with and interview ministers, policymakers and educators to understand some of the strategies Equatorial Guinea is employing to attract foreign direct investment and how they are partnering with multinationals already operating in the country. They also plan to meet with the multinationals and NGOs to get insight into how they are working to benefit the country’s development. The University of Pennsylvania’s Joseph H. Lauder Institute of Management & International Studies,founded in 1983, combines the world-renowned Wharton MBA or Penn Law JD with a Master’s degree in International Studies. In-depth language and culture training, a two-month, in-country immersion, and course work from the School of Arts and Sciences prepares leaders for the ever-evolving global economy. Graduates join the diverse, supportive and committed worldwide Lauder community-continuing a 25-year tradition of international business leadership. The Green Revolution – Feeding the people of Equatorial Guinea, the Main Pillar of genuine Democracy, Peace, Stability, Security and lasting Economic and Social Development of Equatorial Guinea. Every day we’re hearing about projects getting underway in developing countries and how Africa in particular is the new great land of opportunity. At the same time, in a 24/7 news cycle, we’re getting bombarded with negative stories within Africa and the Middle East. As they say, negative news sells. In many developing countries the best intentions are quickly squashed by frustration, pessimism or flat out corruption. So many times we read articles boasting about programs and projects getting started, without hearing about whether they were a success or failure. This is a follow up to an article that we wrote in November of 2010, and is a success story, and perhaps a blue print of how projects should be developed in these emerging markets. In November we wrote about a program put into place called The Green Revolution – Equatorial Guinea. 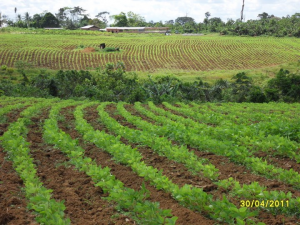 The purpose of the project initiated and promoted by the Minister of State in charge of the Ministry of Agriculture and Forest of the Government of Equatorial Guinea was and still is intended to bring the country to an unprecedented level of self-sufficiency in food production, reducing the stagnant 85% import of food consumed in the country, improving the level conditions of the population at large, stabilizing the population in the rural areas and reducing the rural exodus, providing stable and sustainable jobs, and making the agriculture the back bone of the country’s economic and social development in the long run, using revenue from its oil sector. This was indeed a daunting goal. “If not a full-fledged developed country, at least an emerging country. This is our dream, and I assume it to also be that of all our compatriots, as it is in the benefit of the whole population.” The President further elaborated as follows: “Today, November 14, 2007, in adopting this Development Program, Equatorial Guinea, intend to accelerate with great speed, the trend of its development, with seriousness and necessary master ship, in order to achieve its final goal in 2020; if not completely as a Developed Country, but, at least, as an Emerging Country. This is our Dream, and I assume it to also be that of all our compatriots, as it is in the benefit of the whole population…. In fact, the Development Plan underlines clearly the main importance of agriculture, livestock and fishery products, in addressing the diversification of the economic productivity and achieving food self sufficiency. The massive increase in a diversified agricultural, livestock, and fishery production could lead us immediately to industrialization and better conservation of those products; hence eliminating our excessive dependence on food imports. Honestly, we believe that, the solution cannot be improvised. It is time we invest part of our oil revenue in the development of other productive sectors, with higher return, to avoid the danger of post oil era”. The President added that: “Within this framework, considering the potential of the resources of these three sub-sectors, I urge the Government to take the necessary measures and launch a comprehensive diversification program of agriculture, livestock, fishery and other sea productions”. It is known that food and agricultural policies (both internal and international) constitute the second major determinant of the long-term outlook for world food supplies. A policy environment that distorts prices and other incentives for producers and consumers away from the true social values of natural resources (including the environment) and other inputs leads to inefficient production (use of resources) and raises further concern about the long-term future of the global food supply. Food and agricultural policies, including trade policies, are almost universally adopted for good and noble reasons. However, governments often fail to understand that policies have multiple effects which are often inconsistent with, and sometimes contrary to, the original policy objective. This has led to a global policy environment which is badly distorted, and has contributed to a global agriculture that was once referred to by Professor D. Gale Johnson as being “in disarray”. Private costs and returns as captured in market prices are not always consistent with social costs and returns, leading to socially inefficient use of resources and the environment. (Taxes and subsidies or regulations are necessary to correct for this). Markets do not always adequately value the long-term consequences of resource use and misuse, and thus may not lead to substitution away from scarce resources before irreparable harm has been done. (Here, also taxes and subsidies or regulations may be needed). It is especially in this latter case that there is some reason for caution in asserting that technology and the market (with limited help from policy-markers) can take care of long-term growth in the global demand for food and fiber. We don’t really know the degree to which knowledge based inputs (technology) can be substituted for natural resources and environmental quality. The resources affected by developed countries to subsidize their agriculture has distorted the agricultural market and rendered developing countries production not competitive at world market level despite the Uruguay Round of the GATT negotiations, particularly on agriculture, tropical products, and intellectual property, which have never been implemented efficiently to reduce distortions and resource inefficiency in the market place. 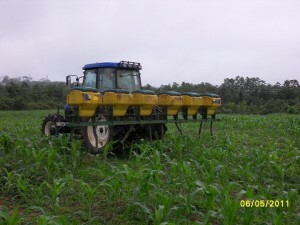 Increase investment in agricultural sector and research, especially in less industrialized and developing countries, to ensure a continuing stream of new and appropriate technology; Adopt policy frameworks that are conducive to production and consumption decisions that make efficient use of resources and the environment, and provide incentives for future investment especially in the agricultural sector. 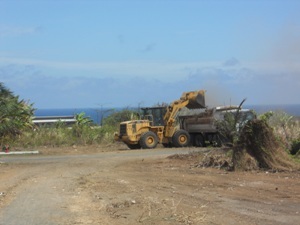 Continue to remove barriers to trade in food and agricultural commodities, inputs and technology between countries, so as to achieve maximum efficiency in use of global productive capacity, and maximum flexibility to adjust to shocks in supply and demand occurring in individual countries; and stimulate more rapid economic development in poor countries, so as to eliminate the root cause of food insecurity, namely, poverty. It is often stated that the productive sector should be the responsibility of the private sector. Within the present world economic conjecture, and more specifically in the agriculture, this statement should be qualified. It is with this consideration in mind that, in one of his speeches in 2009, the Minister of State, Minister of Agriculture and Forest, talking about his country’s economic diversification program, emphasized that: “The need for economic diversification is driven by a need to reduce the high dependency of the country on the income from a single commodities such as fossil fuels. This dependency exacerbates the vulnerability of Equatorial Guinea to the adverse effects of policies and measures taken at the international level to respond to climate change. Sustainable development, he stated, is not a one-size-fits-all concept and needs to be defined in the context of each national economy and according to particular circumstances and priorities. As such, the pursuit of economic diversification in any country needs to be carried out according to a country’s driven agenda”. Although there is no common approach to economic diversification, the Minister of State emphasized that; “Basic measures to foster a favorable investment climate are helpful, including efficient administration, the rule of law, a stable macroeconomic environment, efficient and effective infrastructure and manageable political risks. Other prerequisites for economic diversification, he continued, are sustained efforts to improve the educational infrastructure, involvement of the private sector, and the need for governments to provide incentives and form partnerships at national and sectoral levels to bring together different types of expertise”. The Minister of State further added that: “Economic diversification involves both local and global aspects: local in that it should be tailored to local circumstances, but global when national economies are highly affected by high fluctuations in volatile international markets, for which countries have to find ways to be resilient. At this time, we are aware, the Minister of State underlined, that the economic options available are often limited to tourism, agriculture and fisheries, all of which are vulnerable to climate change. In such cases, economic diversification and sustainable development will involve trade-offs based on comparative advantages. These considerations have dictated the general framework within which the Government of Equatorial Guinea has elaborated its Economic Diversification Program, he stated”. He noted that “sustainable development strengthens adaptive capacity and safeguards the long-term prospects of vulnerable economies such as that of Equatorial Guinea, in the face of depleting natural resources. He pursued further that, economic diversification is only one aspect of sustainable development which enables the consideration of broader issues such as reducing poverty, improving technologies, increasing employment and ensuring the provision of ecosystem services within the framework of a well-conceived eco-tourism program”. reduce poverty through improved health, education and skills development; foster environmentally friendly economic diversification including tourism, and sustained broad-based growth; develop agriculture, fishery and livestock, as the cornerstones of this diversification and lasting economic development; build supporting infrastructure including information and communication technologies as well as the availability of potable water. – From the inception of the project, qualified equato-guineans coming from the National agriculture school would be used extensively and others sent abroad for training to take over from foreign experts/managers in the very short term. -Improvement of the living conditions of the Equatorial Guinean population at large; and last but not least, the reduction in the level of poverty. -The Program will also offer new economic opportunities to the rural population, especially women, thus, contributing to their stabilization, to peace and to prosperity. – It would contribute to the improvement of the Balance of Payments, via the increase in exports; the reduction of imports of food and food derivatives, the increase and savings in foreign monetary reserves. More importantly, it would significantly contribute to the National Economic Diversification Policy, one of the main pillars of the wise and comprehensive National Economic Development Policy, set up by H. E. the President of the Republic, as framed in the Conclusions of the Second National Economic Conference of November 2007. The basic goal is to create independence; however the first step in that process is feeding the people, creating jobs, reducing and eliminating rural exodus, improving the leaving conditions of equato-guineans people. If a country can’t feed its own people, it can never be a completely independent country. 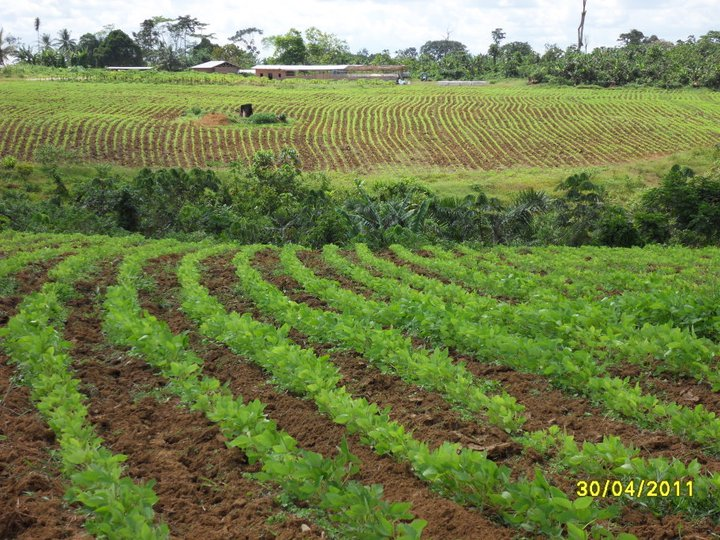 After The Green Revolution was established, the government of Equatorial Guinea signed an Agriculture Project contract with a US company named Management and Economic Consulting, Inc. (MAECI). When we hear of such deals, we assume these are fat government contracts, with a lot of people getting rich, and the promised outcomes are never reached. People also assume that these types of contracts are fully funded by the government, and appear to be risk free to the contractors. This couldn’t be further from the truth in the case of MAECI. There is good reason for people to be skeptical of new found wealth within emerging countries such as Equatorial Guinea, and use of the sovereign funds created from their oil and gas production. However, there are many stories that aren’t told of companies and contractors that show up in places like Equatorial Guinea, sign contracts, get government funds upfront, and leave the country without providing the services that they’ve been commissioned to provide. This type of history within countries such as Equatorial Guinea, have impeded progress and inherent risk from all sides. However, MAECI has taken a different approach. An approach that many would say is crazy, however, as it turns out may be the template for future success in emerging markets. 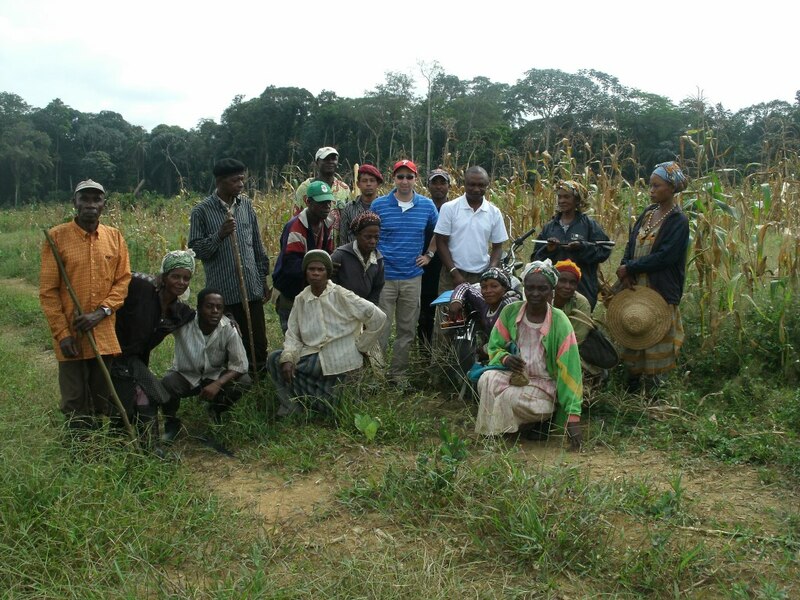 During an interview with Chris Massaro, Vice President of MAECI, Mr. Massaro stated that MAECI began the first agriculture project in Equatorial Guinea, in the small rural town of Mongomo. MAECI was given a location to start a farm project. This location was a dense forest, and one of the most undesirable locations a company could have for the first step of such a large and daunting approach such as The Green Revolution. Anticipating that there would be many delays with funding a project such as this, due to agriculture having been abandoned for many years, lack of interest from any banks that would loan money for this type of project, especially in the agriculture sector ( it should be noted that nowhere in the world, developed, emerging and/or developing countries, are commercial Banks ready to fund projects in the agriculture, as they consider such activities to be too risky for any commercial Bank lending), and other projects having failed, MAECI didn’t wait to get started. Mr. Massaro went on to explain that MAECI started with an analysis of the country’s supply of food products. The results of MAECI’s analysis of the origin and consumption of food products within Equatorial Guinea were pretty shocking. It was determined that 80-90% of all food consumed in the country was being imported from Europe, USA. , Latin America, or from countries such as Cameroon. Not only is this not sustainable socially and politically, but the cost of food was extremely high and the quality was poor. This could also be a security concern for the country as well. 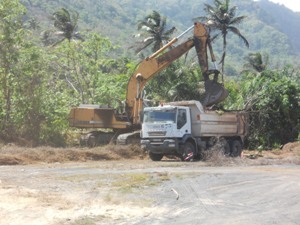 MAECI began a special but extremely expensive ecologically sound and unique deforestation process, using its own resources, without one penny from the government of Equatorial Guinea. In addition, MAECI continued the project for many months before receiving any of the agreed to starting funds within their contract. MAECI prefunded this project because they had the conviction that such undertaking would be successful and have a unique and lasting beneficial impact for the country and its population, and wanted to show that it could be done, and felt that this approach would end the corruption that exists in these types of projects. In addition, when MAECI takes such a huge risk, the government understands their commitment level. This approach also sets precedence for governments such as Equatorial Guinea, to protect themselves from outside companies acting as predators. So, at the end of the day how has this approach worked out? Chris Massaro reported that today, the Mongomo farm has over 400 hectares producing mainly corn and soybean, with an estimated 1000 tons of corn and soybean to go into the processing plants (Corn Flower, cooking corn Oil, and Animal Feeds Plants) that MAECI has built. At the end of the next planting cycle MAECI should reach their goal of 750 hectares planted and producing. The animal Feeds Plant is already operational and poultry projects have started in different places in the country, reducing imports of eggs and chicken, adding to manpower increase and income diversification opportunities. MAECI has been successful in growing a variety of fruits and vegetables as test crops, and the government has awarded MAECI with contracts for smaller farm locations in all different provinces of the country: Kogo, Mbehote, Micomeseng, Anizok, Tegete, Oveng, Mongom, Pico de Basile and Riaba (see map). MAECI has followed the same funding principle in the implementation of this project and presently, an average of six tons of produce (tomatoes, green bean, green pepper, eggplant, beans, sweet potatoes, yam, cassava, cabbage, carrots, leaks, sweet corn, …etc.) are being provided to the market every week. 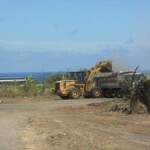 The quantity is expected to reach 20/25 tons per week by the end of June 2011. The impacts of these projects are tremendous. The price of a kg of tomatoes for example, has fallen by some 60% and the supply should cover the national consumption needs by the year end when the total production will be more than 50 tons/week. According to Mr. Massaro, MAECI has also initiated separate poultry, pig and honey projects that they prefunded as well, and now producing, with more than 80 pigs and 30 new born piglets (the pigs farming started with 20 subjects 8 months ago; in addition, some 15 subjects weighting 120/160 Kg have already be sent to the market for consumption); some 700 eggs/day, and 1600 fryers on the market every 45 days. Other newly established poultry farms are adding to these statistics and with the continuation of this trend, the country would be self-sufficient in chicken products by June 2012. These projects haven’t been funded by the government of Equatorial Guinea to date, but have produced significant amounts of chickens, eggs, pork and honey. These products are being delivered into the local markets, reducing the imports, and lowering the local prices allowing population to have access to those products which yesterday were bought only by the wealthy. In addition to the obvious benefits of reducing costly imports of food (and in the medium term eliminating those imports), feeding the people of Equatorial Guinea, these projects are employing hundreds of villagers and creating an economy that didn’t exist, in addition to stabilizing the population in the rural areas. Judging by the results achieved so far, the Green Revolution is a “Success Story” and MAECI is overwhelmed by private citizens demand to technically assist them in creating their private agricultural project. Under the specific instruction from the President of the Republic, the Prime Minister H.E. Ignacio Milan Tang is working out the process of transferring these 9 farm model agriculture projects to private owners. This success is adding to the incredible economic development that Equatorial Guinea is experiencing”, as stated by Mr. Jeremio Osa Osa Ecoro, Minister of Information, Culture, Tourism, & Government Spokesman. The Minister put it as follows: “Equatorial Guinea…has gone from being one of the world’s poorest countries to one of the states with the greatest progress in economic and social development on the planet thanks to President Obiang Nguema Mbasogo leadership.” He added, “The same has occurred in the area of human rights, where the enormous steps the country has taken have never been recognized, including the democratization that was the President’s own initiative. Equatorial Guinea is currently a country that lives in an environment of stability and peace, with many fewer problems of war, strikes, and delinquency that one can find in many countries especially in western countries”. To further strengthen this solid foundation for Democracy, Peace, Stability, Economic and Social development, the President of the Republic of Equatorial Guinea, H.E. Obiang Nguema Mbasogo has recently, signed a decree creating a committee to recommend changes in the constitution. The National Committee for the Reform of the Fundamental Law of Equatorial Guinea, composed of members of congress and legally constituted political parties, is charged with leading effort to reform the fundamental law of Equatorial Guinea. This is an effort by the government to systematically and progressively pursue greater democracy and pluralism as the nation develops. Already in March 2011, President Obiang recommended the creation of a Senate, which would convert the nation’s Parliament from a unicameral to a bicameral legislature, and proposed limiting the president to two four-year terms of office. He opened this year’s Parliamentary session with a call for fundamental reform of the legal system. According to the President’s decree, the main purpose of the National Committee is to create broader opportunities for citizens to participate in the management of the country. The decree cited “the political maturity acquired since the political reform of 1991 by the People of Equatorial Guinea, the political movements of the nation, and the political and administrative institutions established according to popular will” as one of the reasons reform was needed. One other reason, according to a high ranking country politician, is the unprecedented economic and social development achievement by President Obiang’s economic strategy which is now culminating with the sound and sustainable development program of the agro-rural sector as the main pillar of the national economic and social development strategy. According to a western diplomat in Malabo, this bold political step taken by President Obiang Nguema Mbasogo is unique in the continent and should serve as example to many African countries struggling to create meaningful basis for genuine Democracy, Peace, Stability, Security and lasting Economic and Social Development for the wellbeing of their people, and come at a special moment when the Country will host the 2011 Summit of the African Union in June 2011. It’s apparent that MAECI made the determination that they were willing and committed to helping Equatorial Guinea, and from what they’ve invested and have been able to produce so far, are building something that is lasting. MAECI should rightfully feel proud to be so concretely contributing to such process through the implementation of the Green Revolution Program in Equatorial Guinea.